Roofdog All events can be more eco, more effective, more inclusive, and more fun. The most compelling events offer engaged networking and opportunities to be inspired and to be inspiring to others. We advocate events that are more interactive and engaging than a series of monologues in which the audience is seated in rows. 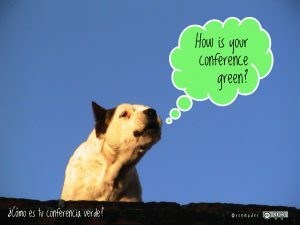 Evolving … Continue reading How is your conference green?